The school district wanted to preserve the considerable funding it received from the E-Rate program, but that meant a major overhaul of its legacy Cisco phone system, one that would have cost more than $50,000. Maintenance on its current phone system was complex and costly, and Jacksboro ISD wanted to spend less and cut down on administration time. The school district also wanted to cut communications costs which were up to $2,500 per month, with extra costs for 200 DIDs. To find an alternative, Jacksboro ISD Director of Technology/Support Services: Brett Thomas worked with Fort Worth, Texas-based 3CX Partner Austen Consultants to choose 3CX Hosted PBX. commented Jacksboro ISD Director of Technology/Support Services Brett Thomas.  It required only a few hours for Austen Consultants to install the 3CX Hosted Version at its own datacenter. Costs to the school district were a fraction of what it would otherwise have had to pay. 3CX took control of the school district’s 270 repurposed Cisco 7940, 7941, 7942 and 7960 phones, along with eight new Yealink phones for administrators and reception. 3CX also configured and managed its SIP trunks. With the hosted version, the school district’s PBX was installed on a virtual PBX server. Setup and management of virtual PBX instances were now handled via the 3CX Partner portal. The school district was given a login to the portal, and easy-to-understand instructions on how to create extensions, a digital receptionist, and call management. Within two days, the school district had the phone system up and running. 3CX cut Jacksboro ISD’s phone monthly phone bill by 60 percent. With IP Telephony, a large percentage of calls became free, and least-cost routing made sure that calls over the PSTN were charged at the lowest possible amount. The number of DIDs were reduced from 200 to 35, considerably reducing rental costs, thanks to 3CX’s advanced call management. The school district was also able to make use of features like an IVR and prioritized call hunting, so that calls reached the best person to handle them faster. Handling call queues became a snap for administrators with 3CX’s simple but powerful Switchboard. Maintenance was virtually cost-free, and was managed entirely by the 3CX Partner, removing the responsibility from the school district administration. Increasing the number of phones was no longer an issue, as scalability is free with 3CX — there are no extra licensing or charges. And Jacksboro ISD now had a PBX that complied with E-Rate requirements, so it retained its federal funding. “I wish we’d switched years ago!” Thomas concluded.